Today, I wanted to share some thoughts about a complex topic that can involve significant consequences and benefits – partnerships. My thoughts on this subject could easily take up an entire book, and maybe one day I’ll write it. But for now, I wanted to explore a few ideas with you on the secret to successful partnerships. Ideally, you and your business partner have skills, or what I call your “language”, that are complementary. They’re great at something that you’re not good at, and you have some skills in other areas that they lack. So your skill sets mesh well together. 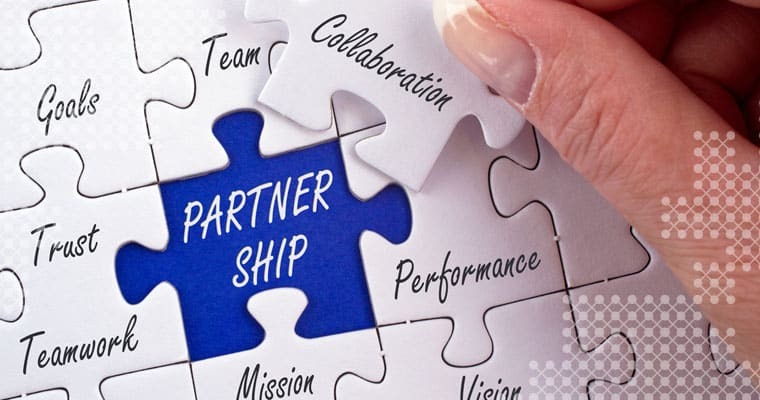 A typical partnership involves someone who is better at internal business issues such as operations and human resources, partnered with someone who excels at sales and business development. People commonly develop partnerships when their business is at the ground level, just starting out. At that point, it’s hard to say if your skill sets will be complementary in the long term for two reasons. One, if you’re new to entrepreneurship and aren’t clear on your strengths, it can be hard to know with certainty what your language is and how you should best leverage it in the business. Two, sometimes circumstances change and the emphasis shifts to be more inside than outside, or vice versa. At this point, you wonder if you or your partner are capable of evolving your respective languages to suit the new focus. Entrepreneurs often identify partners because it makes them feel good and because it means they’re not doing it alone. That’s not a great reason to bring in a business partner. A better reason to have a business partner is they have skills, access, or capabilities that you don’t have, and vice versa. 1. The visionary: this person can see things before they exist. It’s typically the person that we associate with entrepreneurship, the one who creates the business, and the one we tend to celebrate. 2. The producer: this person ensures things get done. They chew through walls; they escalate the issue when needed, they scream and yell, but they get it done. 3. The process person: this person excels at identifying the need for and creating systems and processes. Every business needs these three personality types. Imagine these three personality types as the three points of a triangle and ask yourself which point of the triangle you are and which prospective members of your management team can play the other two roles. It’s true that each of us can possess more than one personality type, but everyone has a primary type. It’s important to choose partners with complementary languages, not clashing ones, and to respect each other’s languages. Another great insight from Les McKeown is that no one of these personality types can be in the forefront for too long. Sometimes the visionary matters the most, such as when you’re trying something new. Sometimes the producer matters most, such as when need to meet a looming deadline. Other times the process person matters most such as when inefficiencies start to add up, and you need to update the way you do business. Insightful leadership will know when to hand the Captain’s chair over to the necessary personality and let them steer the boat for a little while. I often see businesses consistently keeping one personality type in charge and not respecting the importance of the others. That just isn’t realistic. At different times, points of the “Triangle of Talent” should be taking the lead at your company, depending on the need. As the CEO and business owner, you need to develop the ego management to decide who needs to be in that role at any given time. What’s your personality type and language? Have you established a Triangle of Talent in your business?